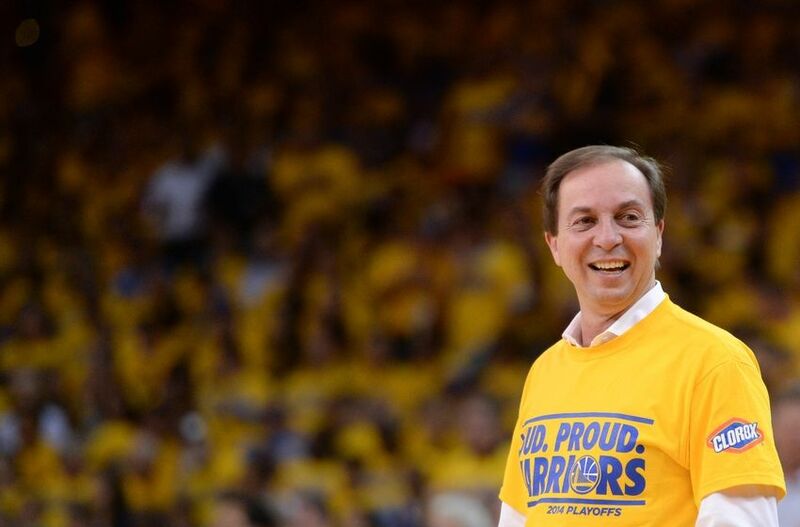 GSW: Joe Lacob Discusses Warriors’ Success, Draymond Green, Etc. 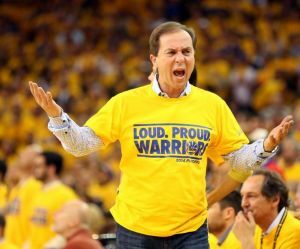 The Golden State Warriors are riding high right now with the best record in the NBA (37-8), and Warriors owner Joe Lacob has a lot to be proud of, in terms of the Warriors’ success so far this season, and excited about, in terms of the Warriors’ bright future. 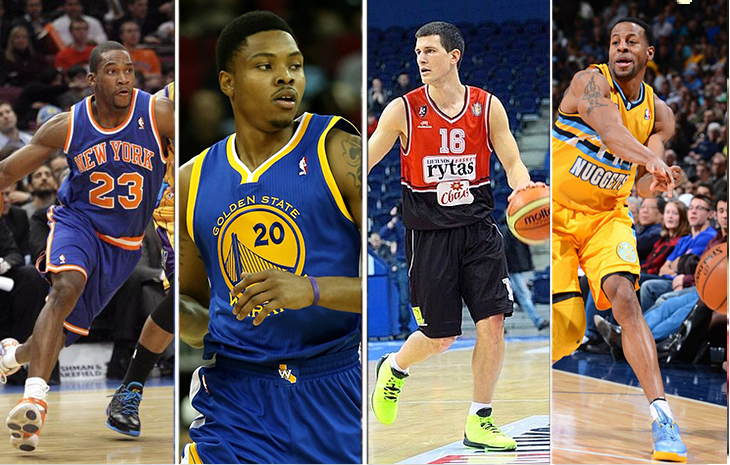 The Golden State Warriors have a lot of prove entering this upcoming season. They need to prove that they can seriously contend for an NBA title, which is easier said than done. Joe Lacob and Bob Myers have some major decisions to make this offseason in order to give this team a chance at contending. 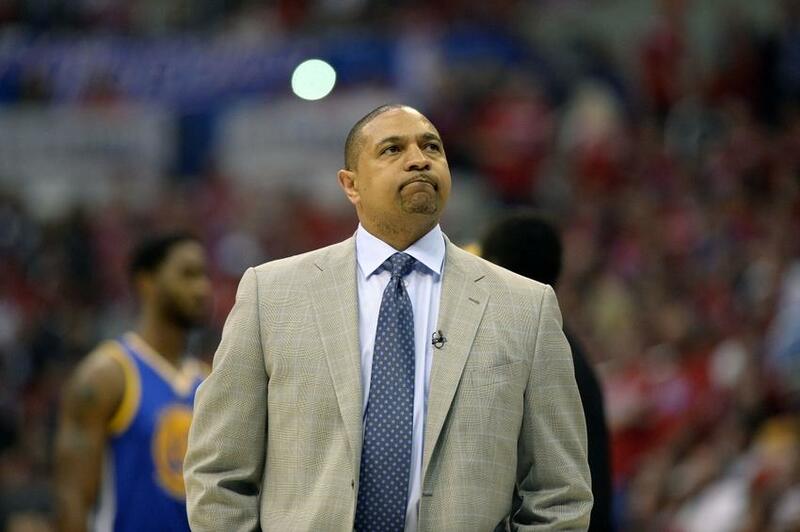 The Golden State Warriors have officially fired Mark Jackson. Some of the criticism about his coaching was justified, and Jackson wasn’t a perfect coach. However, firing him was the wrong decision for this team. Perhaps the most important reason why firing Jackson was not a smart move was that he received unwavering support from the players. The Warriors’ players have the utmost respect for him, they listened to him, they trusted him fully, and they believed that he would guide them to play their best. Often, motivating a team and getting them to buy into a system and a coach’s methods can be the hardest part of coaching, and this was one of Jackson’s strengths. Coach Jackson brought out the best in his players, partially because he was very open and honest with them. Jackson’s influence could also be seen in how relaxed the team was in Game 7, how confident they were throughout the season and in the playoffs, and how the players didn’t fear the big moment. In fact, based on his fine work with the Warriors last season and his impact on the team’s chemistry, both Andre Iguodala and Jermaine O’Neal wanted to sign with the Warriors last offseason. The Warriors could’ve potentially persuaded big-name free agents to sign with them this summer because of Coach Jackson’s reputation around the league and his player-friendly coaching style. All the players were vocal about their support for Coach Jackson, especially Stephen Curry. 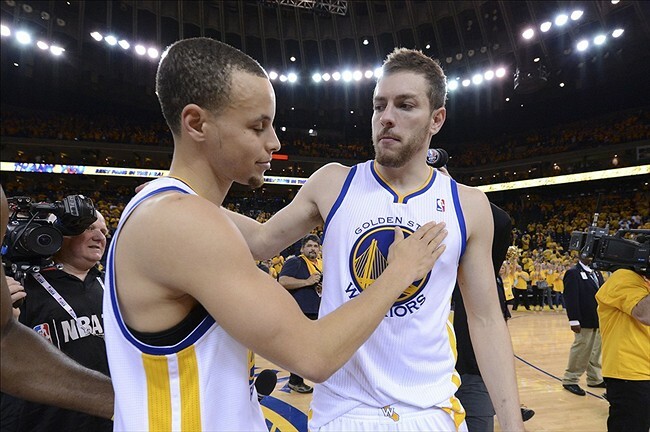 He badly wanted Jackson to remain the head coach, and Curry spoke about his love for Coach Jackson to Rusty Simmons of the San Francisco Chronicle after Game 7. “What Coach has gone through this year has been unlike anything I’ve seen – just the amount of distractions, the circus that has been around him and the decisions he has had to make,” Warriors point guard Stephen Curry said. “I love Coach more than anybody. For him to be in a position where his job is under scrutiny and under questions is totally unfair. “It would definitely be a shock to me if anything like (a firing) would happen. I’m definitely going to voice my support for Coach to anybody that asks me all summer. The Warriors should’ve listened to Curry, because he’s the face of the franchise and a fan favorite. Curry is the ultimate professional and will adjust to a new head coach, but it’s not smart for the Warriors to start to ignore their superstar. It’s unlikely Curry will get so upset that he’ll want to leave the team, but the Warriors definitely need to involve him in the process of hiring a new head coach. Whoever they hire to be the new head coach will be Curry’s fourth head coach in just six seasons. Curry will play hard for anyone and could succeed in many systems, but it seems slightly unfair to make him adjust to yet another new coach and new system. In addition to upsetting the players by firing Jackson, the Warriors could potentially hurt themselves in terms of on-the-court production. Jackson certainly could’ve improved on his rotations, play-calling, and decision-making. However, if they don’t find the right replacement, some players might struggle adjusting to a new system or having to play a new system in general. Joe Lacob has a “win now” mindset, and he wants immediate success, which Jackson apparently didn’t bring. He needs to understand that in the NBA, success is long-term not short-term. Look at Oklahoma City. It takes time to develop a core of players and a coach’s system. Jackson had to improve on some aspects of his coaching, but he wasn’t given the opportunity to build on the success he developed. It seems as if Jackson’s “strained” relationship with management was one of the main reasons why he was fired, which is just unfair. Marcus Thompson of the Bay Area News Group agreed with this statement in a recent article that he wrote before Jackson was fired. Lacob and Myers will need to make some changes to the roster in the offseason, so it’s also their duty to make this team better and put them in a better situation to succeed. For such a risky move, in terms of disappointing players and fans, the Warriors better back up firing Jackson by hiring a fantastic new head coach. 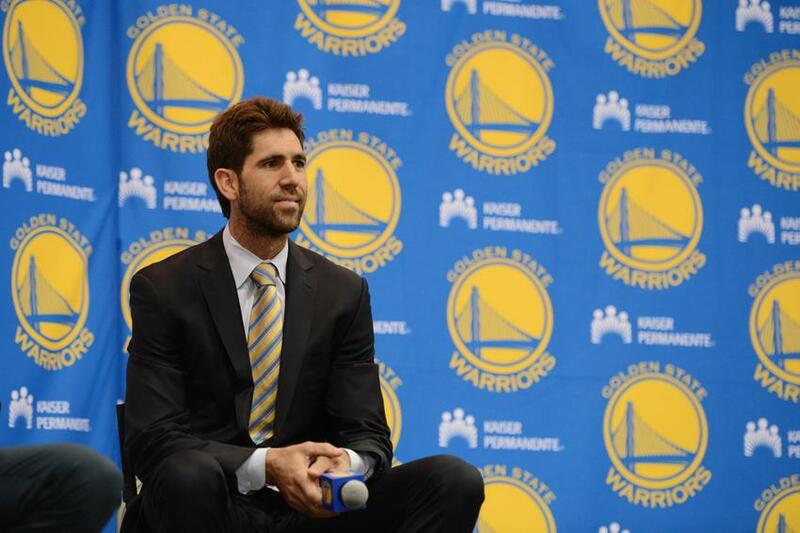 Joe Lacob and Bob Myers are incredibly smart people, so they’ll do their best to find the best possible coach out there for this team. They have to hope though that the risks involved with this decision pay off and that ultimately the benefits will outweigh the costs. Not all personnel moves are going to be liked by everyone in the organization and all of the fans, and that’s fine. Lacob and Myers’ jobs aren’t necessarily about making everyone happy, but they have to make sure they hire not just a good coach but a great coach that they know will fluorish. If not, this situation could get really ugly, really fast. Firing Mark Jackson won’t completely shatter the organization. The Warriors still have an immense amount of talent, and they can potentially contend for a title next season. It all comes down to if Lacob and Myers hire the right coach though, and if that head coach can lead the Warriors to more wins next season than this season. One last thought, thanks to Mark Jackson for bringing the Warriors out of irrelevance and making them a legitimate threat in the Western Conference. He instilled an effective defensive system, and he brought a winning mentality to the Warriors. He truly changed the culture, and he should be greatly commended for that. 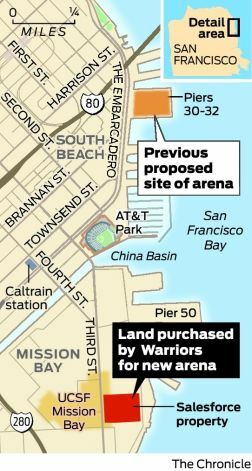 The Golden State Warriors have ditched their plans at building an arena on Piers 30-32 in San Francisco, and they’ve found a new site for their proposed arena. The Warriors reached a deal with salesforce.com to purchase land in San Francisco’s Mission Bay neighborhood, where they will build their sports and entertainment arena. According to Warriors.com, this new arena will be built on 12 acres of private land and will hold about 18,000 seats. In addition, there are already 9,000 existing parking space at Mission Bay. The lack of ample parking was one of the drawbacks to Piers 30-32. Another positive aspect of the Mission Bay site is its easy access to public transportation. Mission Bay is located within a few blocks of Caltrain, and it borders Muni’s 3rd Street Light Rail, which provides an easy connection to BART. Both Joe Lacob and Peter Guber, the Warriors’ owners, spoke to Warriors.com about Mission Bay. Rick Welts, the President and COO of the Warriors, also spoke to Warriors.com about what the Warriors learned from their experience with Piers 30-32, and he shared his excitement about the new plans for the arena at Mission Bay. A state-of-the-art arena on Piers 30-32 would’ve been picturesque and quite a tourist attraction. However, the benefits of an arena at Mission Bay far outweigh the costs. Photo courtesy of the San Francisco Chronicle. At Mission Bay, the Warriors will face less opposition and fewer regulatory barriers. In addition, Lacob and Guber have said that this arena will be entirely privately financed, meaning it will not be funded by taxpayers and will use no public land. This is rare for a sports venue. Mission Bay is also closer in proximity to public transportation, there’s more parking readily available, and a 5.5-acre bayfront park will be built in addition to the arena, as part of the redevelopment plan for the Mission Bay area. Former Mayor Art Agnos, who was opposed to the Warriors’ proposed arena on Piers 30-32, also showed support for the new plans in the same Chronicle article. “This is a historic victory for the people of San Francisco because we have protected our precious bay and waterfront, as well as gained a new hometown basketball team,” Agnos said. A specific groundbreaking date hasn’t been set yet, but the Warriors plan on opening the new arena for the 2018-19 season.